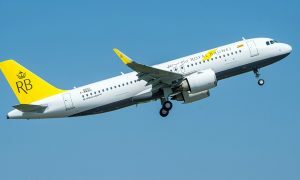 Royal Brunei Airlines will recommence its flight to Brisbane with the launch of four per week services from 11th June 2019. “We are delighted to recommence services to Brisbane, a very popular destination for Bruneians and guests from our expanding route network. 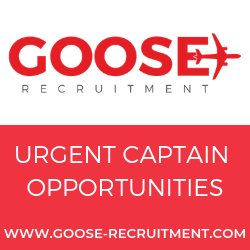 We have very good connections from the United Kingdom, United Arab Emirates, East Asia and South East Asia to/from Brisbane. Our guests will experience the very best of Bruneian hospitality flying on our fleet of Boeing 787 Dreamliners and A320NEO’s, one of the youngest fleet in the world with an average fleet age of two years” said Mr. Karam Chand, Royal Brunei Airlines Chief Executive Officer. “We offer great value to our Australian guests and exciting destinations such as Brunei, Kota Kinabalu, Kuching, Ho Chi Minh City to name a few which could be packaged as single or dual destination holidays. Bruneians and the expat community will not only the enjoy many attractions and activities on offer in Brisbane city and its surrounds, Gold Coast and Sunshine Coast are just over an hour away from the CBD. Brisbane is also a gateway to many popular tourism spots in Queensland such as Cairns, Port Douglas, Fraser Island and the Whitsundays” added Mr. Chand. Queensland Premier Annastacia Palaszczuk said securing flights to Brisbane with the international carrier was a win for Queensland. “Royal Brunei will fly four times-a-week to Brisbane, which is set to attract up to 30,000 visitors to Queensland and support more than 720 jobs,” the Premier said. “Improving access to Queensland and securing direct flights from key visitor markets like the UK is vital when it comes to growing our share of the global tourism market. This new service will allow us to welcome more tourists from the United Kingdom – Queensland’s third largest international market – connecting via Bandar Seri Begawan which is a hub for international travelers,” the Premier added. “Thanks to this new route, travelers will have another option to pick Brisbane as their entry point to Australia and have easy access to many other iconic Queensland destinations. We’re investing more in tourism than any other government in Queensland’s history because we know how important this industry is when it comes to growing our economy. Mr. Gert-Jan de Graaff, Brisbane Airport Corporate (BAC) Chief Executive Officer, said the commencement of RB is another step in the growth of Brisbane’s’ ASEAN network. “It is great to welcome Royal Brunei Airlines as Brisbane Airport’s 34th international airline and Bandar Seri Begawan as our 33rd international destination. RB has been a long friend of Brisbane and it is great we will now have further access into the UK and ASEAN. Importantly, these new direct links will also expand tourism, business and trade opportunities between Queensland and Brunei. It is also great that new longer-range narrow-body aircraft such as the A320neo are now able to make direct flights into Brisbane more viable than ever, an opportunity we are working to expand on going into the future,” Mr de Graaff said. 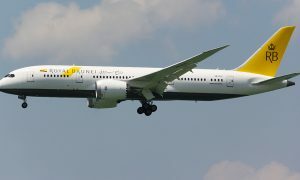 Brisbane was the second city in Australia that Royal Brunei Airlines flew to in 1994 via Darwin, whilst its inaugural direct flight was operated in 1997. The services were suspended in 2011. Royal Brunei Airlines will operate its Brisbane flight 4 times weekly with its A320NEO fleet.